Mark McGrory consistently lands big patent litigation wins for household name clients in the technology industry. As a former senior in-house attorney with Sprint, Mark’s work in private practice has focused on representing industry leaders, including a major telecom carrier, in numerous patent litigation matters. His work has resulted in a string of victories for the telecom carrier in the Eastern District of Texas, as well as successfully representing a large cable company in patent litigation in the Southern District of New York and the District of Delaware. Defended the largest independent bank in Kansas on class action claims related to the order of posting transactions. Represented Fortune 100 company in putative class action litigation under SEC Rule 10b-5 and related derivative litigations. Represented electric energy producer in connection with multi-million dollar claims arising from failed software installation project. Represented national consulting firm in connection with software malpractice claims. 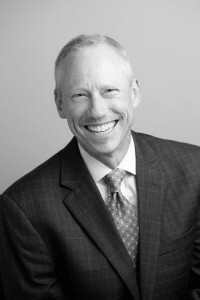 McGrory is also actively involved in the legal community where he is a member of several industry associations including the Missouri Bar Association, Kansas Bar Association, Johnson County Bar Association and Kansas City Metropolitan Bar Association.